Sleep makes us relax and comfortable. Sadly, this is not the case with people with chronic back pain. Sleep makes you uncomfortable. When you sleep, there is no movement in the joints and this worsens your back. During night your brain doesn’t sends extra blood to the pain area since there is no movement. You will feel more pain. This is called as Nocturnal back pain or nightime back pain. When you take a day nap, your body adjusts accordingly but this is not the case during night. Either you are Stomach Sleeper, Back Sleeper, Side-Sleeper, it is important to keep your body aligned to reduce the stress on your back. Stomach sleeping can be so detrimental, in fact, that many doctors recommend that patients try getting used to sleeping on their sides instead. 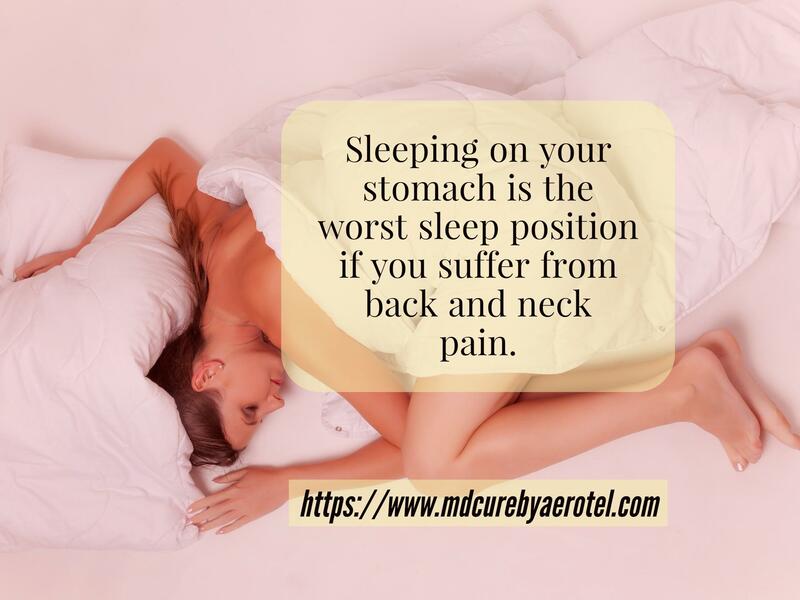 But if you find it too difficult to fall asleep in any other position than your stomach, rotating slightly to the side and using a thin pillow could alleviate the discomfort, says Dr. Kamshad Raiszadeh, a board-certified orthopedic surgeon and co-founder of SpineZone in California. Propping a pillow under you knees, however, promotes the normal curve of the lumbar spine and allows the low back to relax. “If you sleep on your back, you may need a thinner pillow,” Raiszadeh says. To increase your chances of a good night’s sleep no matter what sleep position you prefer, warm baths or “sleepy” tea before bed might help. If you wake up with lower back pain every morning, it’s time to use DCcure. Many users tell us that they awaken in the morning pain free after using DCcure.